As millions of people observed the total lunar eclipse on October 8th, NASA's MESSENGER probe was also watching from its orbit around Mercury. The spacecraft, 66 million miles from Earth, captured several images of the Moon as it passed behind Earth and into the planet's shadow. This animation was constructed from 31 images taken two minutes apart, from 5:18 a.m. to 6:18 a.m., EDT. The images start just before the Moon entered the darkest part of the Earth's shadow (the umbra). "From Mercury, the Earth and Moon normally appear as if they were two very bright stars," says Hari Nair, a planetary scientist at the Johns Hopkins University Applied Physics Laboratory. "During a lunar eclipse, the Moon seems to disappear during its passage through the Earth's shadow, as shown in the movie." 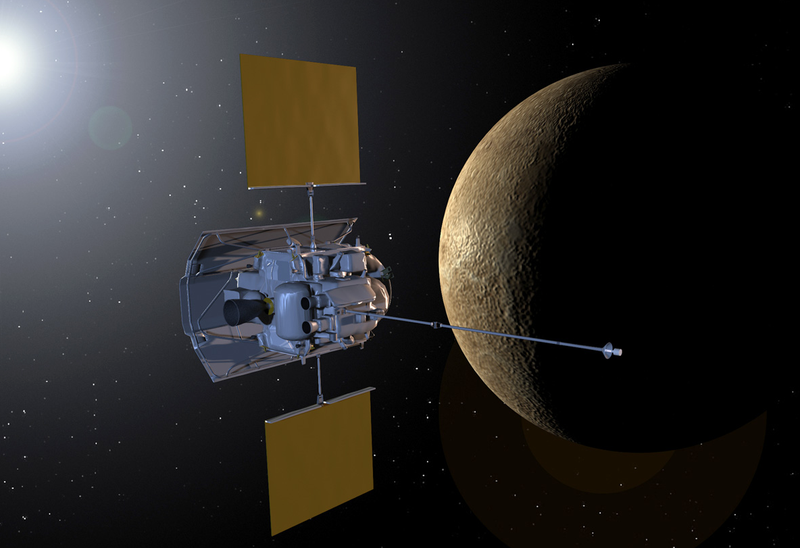 Launched on August 3, 2004, MESSENGER arrived at Mercury on March 18th, 2011. Earlier this summer MESSENGER moved closer to Mercury than any spacecraft has before, dropping to an altitude of only 62 miles. Its mission will come to an end next spring, when it impacts onto Mercury's surface.